For the September 26th meeting, things take a turn for the odd with our first book about an eccentric family coming together, Miriam Toews' The Flying Troutmans. We'll keep the strangeness going with a Victorian true crime account, Kate Summerscale's The Suspicions of Mr. Whicher. Kate Summerscale discusses The Suspicions of Mr Whicher. "The winner of the Samuel Johnson Prize Non Fiction 2008 will be talking about her phenomenally successful book The Suspicions of Mr Whicher. Kate Summerscale discusses The Suspicions of Mr. Whicher: A Shocking Murder and the Undoing of a Great Victorian Detective. Kate Summerscale was brought up in Japan, England and Chile and now lives in London with her son. She took a double-first at Oxford University and earned a master's degree in journalism from Stanford University. She has worked for The Independent and The Daily Telegraph. An award-winning author herself, she has judged various literary competitions, including the Booker Prize. 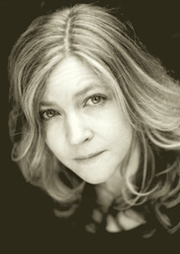 Kate Summerscale is currently considered a "single author." If one or more works are by a distinct, homonymous authors, go ahead and split the author. Kate Summerscale is composed of 8 names. You can examine and separate out names.